Purchased a few more supplies for the workbench that arrived in the mail today. A couple of coax jumper cables and BNC adapters for connecting things to the oscilloscope, 2 1000′ spools of heat strippable magnet wire and 10 pieces of single sided copper clad PCB. 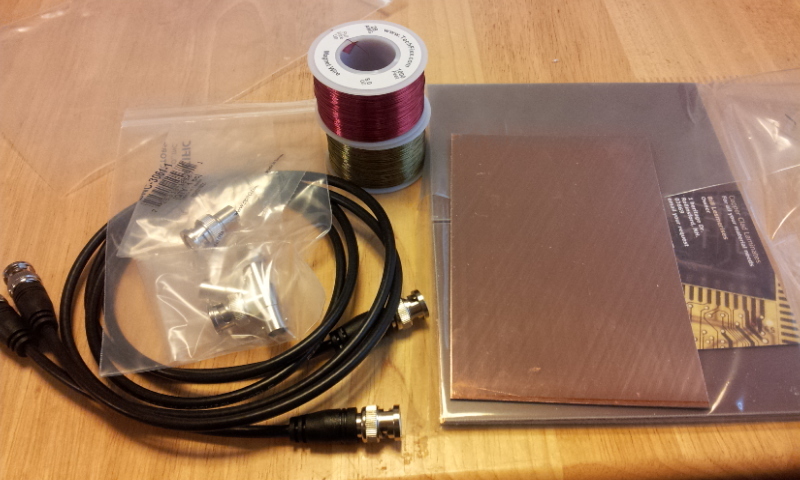 Looking forward to my first builds on the copper clad. Previous Previous post: Messing with the sound card interface.